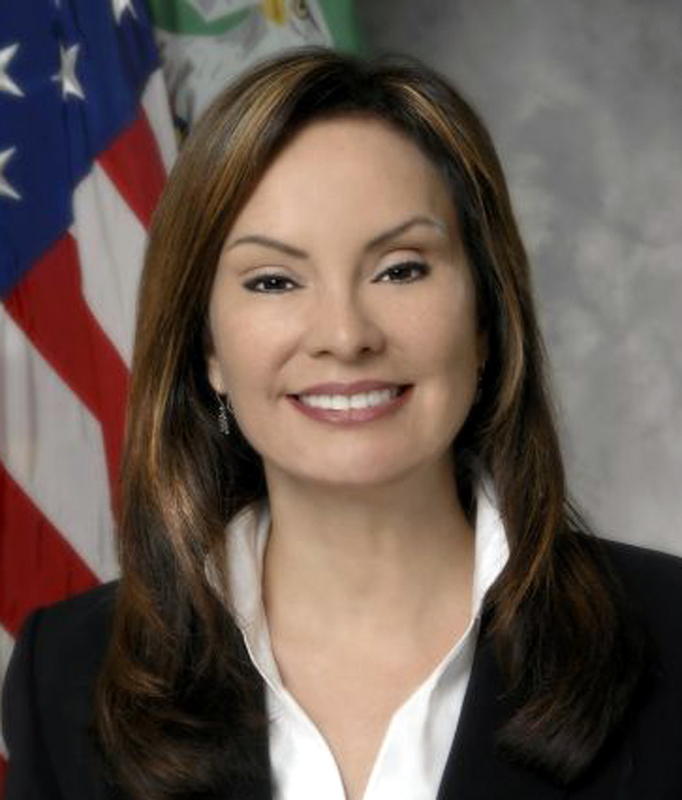 Early Tuesday morning, listeners got a wake-up call from U.S. Treasurer Rosie Rios, who had an important message to share. The U.S. Department of the Treasury launched a new public education initiative Tuesday called “Ready.Save.Grow.” It will allow people to purchase Treasury products and implement savings options that will help them control –and possibly enhance – their financial future. KHTS’s Arif Halaby asked Rios if this was similar to the U.S. Savings Bond program that has been in place for a long time. She answered that the 75-year old bond program was still going strong and that Ready Save Grow offered two bond options among the other products. Rios also lauded the paperless element of the new program, adding that it saves the government hundreds of thousands of dollars by not printing and mailing bonds and their required documentation. According to the Ready.Save.Grow website, the U.S. Department of the Treasury has issued savings bonds since 1935. When you buy a savings bond, you loan the amount you paid for the bond to the U.S. government. Over a period of time (up to 30 years), the savings bond earns interest. After 12 months, the savings bond can be cashed for its face value plus the interest it has earned. All bonds are now digital; paper savings bonds are no longer sold at financial institutions. Deferring questions on the national budget and inflation to the Treasury Department (Rios represents the public relations/product marketing side of Treasury products), Rios said that the new program offers an easy way to change financial habits for the better. The Treasury Department’s Bureau of the Public Debt offers interest-bearing digital savings bonds for as little as $25 and Treasury marketable securities for as little as $100, and with no risk of principal loss. These savings options are offered through TreasuryDirect.gov, and can be purchased online or through payroll direct deposit after opening a free TreasuryDirect account. More than a million people have already opened accounts in TreasuryDirect, a secure, web-based system operated by the Bureau of the Public Debt since 2002. To encourage people to save, Ready.Save.Grow. is partnering with non-profit organizations, such as AARP, American Savings Education Council, Center for Financial Services Innovation and Consumer Federation of America, to raise awareness about Treasury products as affordable, safe and convenient savings options. The user-friendly website, www.treasurydirect.gov/readysavegrow, offers turnkey resources for these groups so they can educate their community members and other stakeholders on ideas for growing their savings. Consumers can find savings tips and other resources, including information about Treasury savings options and how to open and manage an account at www.treasurydirect.gov/readysavegrow.